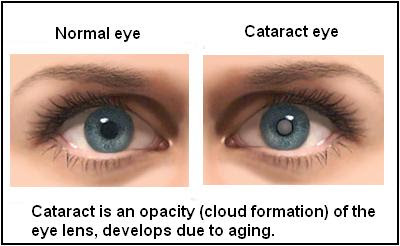 Cataract is the situation where the proteins are accumulated in the eyes that makes the lens cloudy. It prevents the passing of light into the lenses clearly. This will causes the interferences in the clear vision and then the vision will be cloudy and hazy(decrease the vision). The iris are located in front of lenses act as a camera, will focuses the images on the retina and sends this images to the brain. Human lenses can have the ability to keep the lights and images reaching to the retina. Double vision are appeared in single eye. Injury happens in eye, some of the eye diseases and some medication will one of the reason for behind the cloudy vision. 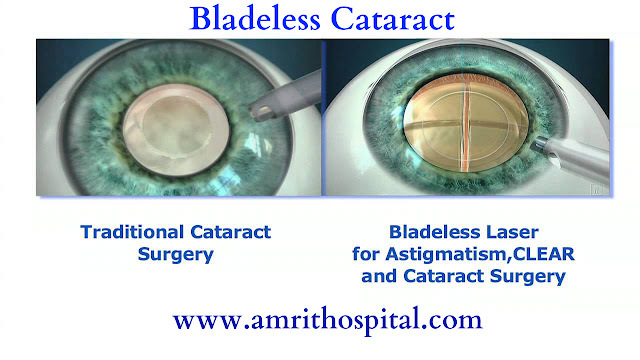 Amrit Hospitals provide latest and safest part of eye surgeries like cataract mainly Blade less cataract surgeries are very simple procedure like removing the clouded lenses and replacing it with artificial lenses. The Best Ophthalmologist in Chennai offers best best , safe and low cost bladeless cataract surgery. Cataract surgery is a very helpful procedure to clear and restore the vision. With the help of modern techniques like LenSx® laser the doctors are identifying and capturing the correct eye problems and providing the best Cataract Eye Treatments in Chennai and customized solutions for patients.